A few weeks ago I visited the St. Paul’s Cathedral website and clicked on a page called “Our Supporters“. 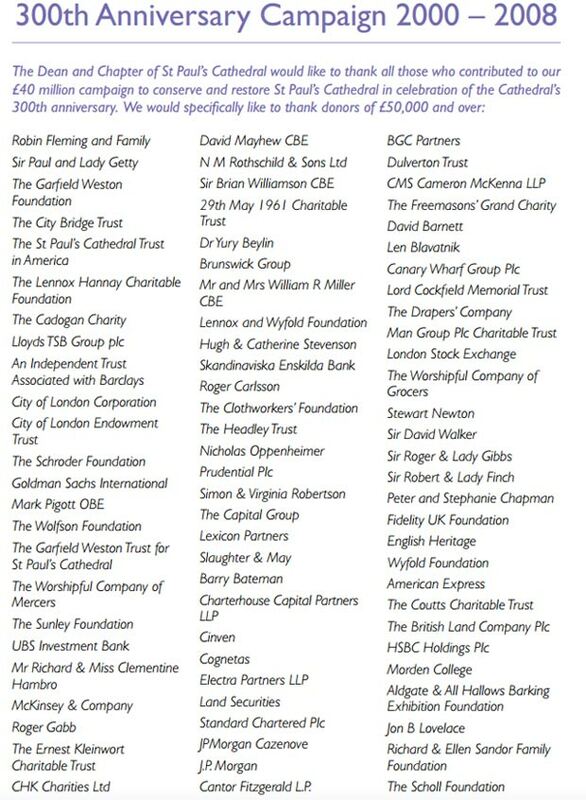 The page contained a lengthy list of corporate (and other) donors… those who had made substantial (in excess of UKP ￡50,000) financial contributions to the Cathedral. Some time over the past few weeks someone at St. Paul’s realised that this was bad Public Relations, given that they were soon to send the police to remove people from the Cathedral steps… people who were protesting against those very corporations. And so they removed the list of donors, replacing it with a bland statement of thanks to staff members past and present.